It's been good times in many ways at 3 Ravens. Last year's AIBA Champion Small Australian Brewery recently collected Best Beer in Show at WA's awards for its cult favourite Dark (the smoky one). 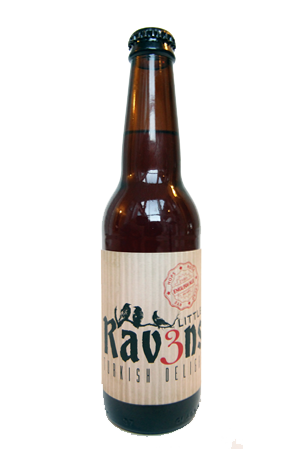 The Mash Brewing Berliner Weisse brewed at 3 Raven's Thornbury home fared well too, one of them collecting a trophy. And they've upped the production schedule for their limited releases. Their first Little Raven (making use of their mini-brewhouse and accompany tank) came out early last year and then there was no follow up for a while. Now, hot on the heels of their imperial stout comes another. And it's one with plenty crammed into its not-very-boozy body. Ostensibly based around an English ale – moderate bitterness, slight malt sweetness, floral hops in a copper hue – it then sets out to turn that into something Turkish Delight like. Into the mix goes cacao powder from the Daintree Estate in Queensland, fresh roasted Brazilian and Papua New Guinean cacao nibs sourced via Monsieur Truffe, and heaps of rose petals, not to mention some rye. Of these, it's the soft cacao that is most obvious – along with some spiciness – on the nose, with the impact of the rose petals coming into play as it warms and thus boosting the beer's Turkish Delightness.